It's 7 pm here. I've found solutions to my previous problems, but still have to import graphics and a few other things. Assuming nothing goes wrong, I should be finished in the next 2-3 hours. Awesome! I plan to play the entries this afternoon as a break from some other projects. Can't wait! Another fun outing with Reef Rivers. It reminded me a lot of the first game with its journey inside a dark temple. I had a lot of fun with the game. The first puzzle and the third puzzle were really fun (killing the snake and pushing the spikes room buttons) and showed that some thought had been put into their design. 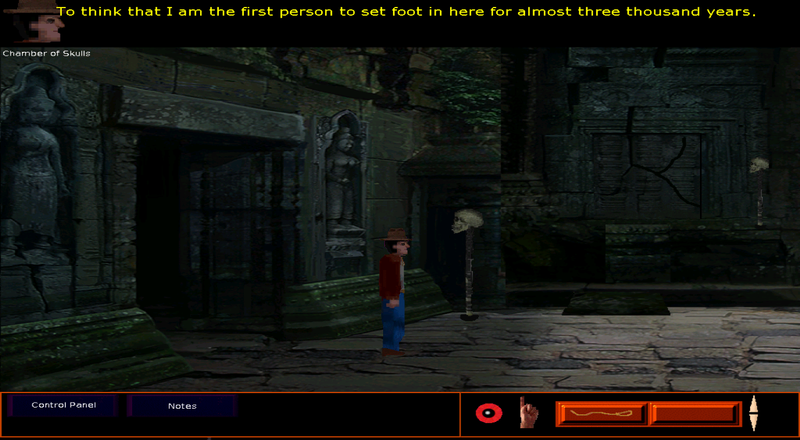 Unfortunately I can't say the same for the other areas which were either weirdly obvious (the room of shocks) or pixel-hunting (the buddha bracelet, the iron bar, the secret place) and the tiger was just a multiple-choice, you'll get it if you keep trying, kinda thing. There is an entry in the notes about facing your fear so I suppose that was the hint for the correct action? I'm guessing Slasher maybe ran out of time to make some areas a bit more involved? For example, at the end I would have been impressed if the solution of breaking the final door was tying one end of the rope to the secret place door while it's open and the other end to the cracked door and then slide the secret place door closed to pull down the cracked door. Something like that at the end that had made me feel like I had used my brain a bit more would have increased my satisfaction at escaping with the goodies. I was also a bit disappointed that, given the game's name, time never stops (except during the unskippable text sections describing cutscenes ) and there is no way to use the ring (that I know of) making it kind of a generic macguffin that could have been anything. Maybe something further was originally planned along the theme of the ring stopping time but was (ironically) cut for time reasons again? Still, a fun and impressive entry! Impressive effort for a second game and made in under a month! While the puzzles were quite simple, mechanically, they all worked fine. Except for one: I found that if I clicked on the puzzle piece across the bridge with the hand icon the character just went and got it, walking through the cart like he was a ghost. You just need a bool variable in there like "BridgeBlocked" (true/false) to check when the hand icon is used. Another way would be to check if the wagon graphic sprite is the original number as it changes when the puzzle is solved. The coloured stone puzzle is a bit too easy to solve just by brute-force and I did so before finding the hint clue for it. I would suggest that you have the order of the presses randomly change each time a failed attempt is made (and also the numbers on the hint picture) so that the player must find the hint before being able to solve it. A bit of visual feedback seeing the stones sink into the ground slightly would be nice too. Another slightly weird one I found was the coal/bandage puzzle. This is not how making a rubbing with charcoal works. If the coal was ink then maybe this printing method would make sense but, as it is, I'd say almost every player would expect to put the bandage on the map first and then rub the coal on top of that. The dragon was impressive when it showed up but I was a bit disappointed that the game didn't just let me leave like the dragon told me to. It was the first thing I tried. Just "Yup, dragon's right! Should just leave!" and I thought it would have been great if that was a possible ending: "You leave forever and return home to your village a coward. But at least you're alive, eh?" or something like that. I feel this would be a nice game to introduce kids to the adventure game genre with: The puzzles are about right for a 6-8 year-old to have a challenge with. The colours are bright and the graphics simple but attractive. The game length is also about right for that age-range to not lose interest before the end. Great second game! Keep going and your skills will grow faster than you imagine! Sorry, but due to sleep deprivation the last week and horrible allergies I ended up going to sleep early instead of finishing. And now that I've actually actually had enough sleep to think properly, I know that even if I did try to finish the game, it's really not enough of an improvement over the original to be worth anyone's time. If a game plays fine then that is a good starting place..
Don't we all see a better way of doing somethings once the song is sung? Thanks for the extension. Unfortunately I just wasn't up to the task of getting it finished. Mantle, thanks for the feedback! 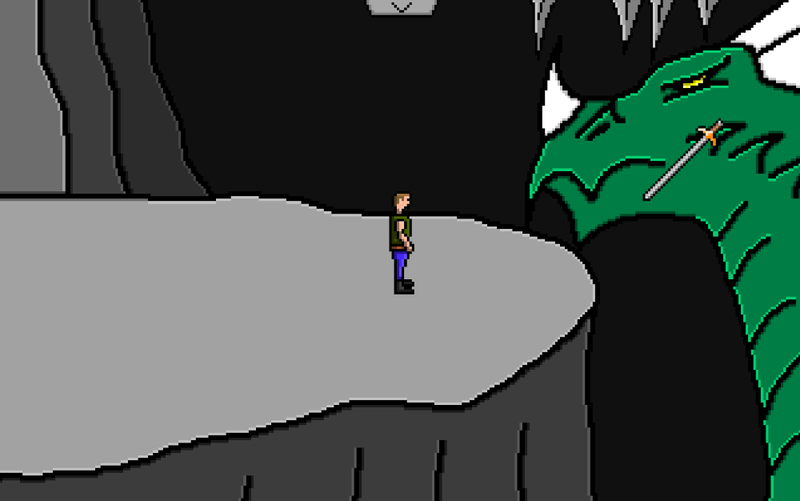 I admit that there is a lot of room for improvement, especially in the dragon area. I have been thinking about this game for a long time but I was only ever coming up with ideas leading up to opening the door, so I feel the second half seems rushed. There were a lot of visual improvements that could have been made, but my goal for this game was To finish a decent game. I didn’t want to get discouraged by the time it takes to make good artwork, so I decided to stick with the simple style because it was fast. Again, thank you so much for the comments! Better luck next time @VW. 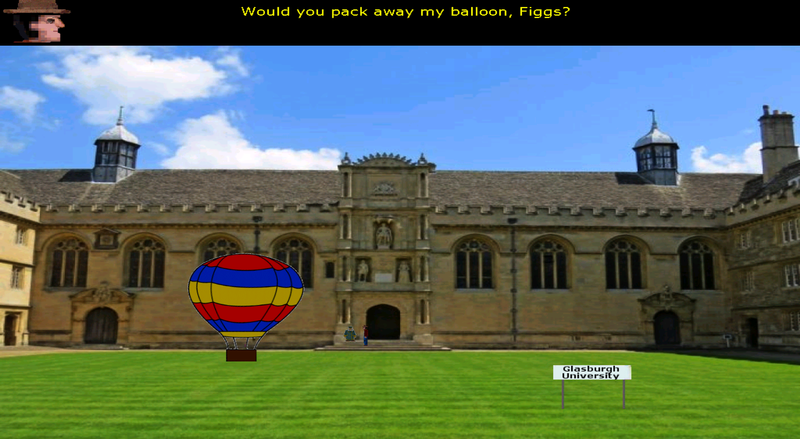 The competition has now ended and voting is underway. Mediafire works but it's not your game I can't download. Both games are similar in a number of ways and it was actually not an easy decision. They are both based on classic tropes (slay the dragon, get the artifact before the bad guy does) and feature decent, fun but fairly straightforward puzzles. I liked that Reef Rivers had a bit more variety on the puzzles such as the balloon game. That said, it was REALLY close so good job to both entries. It was hard to choose indeed. I like the puzzles and the storyline of Reef Rivers. 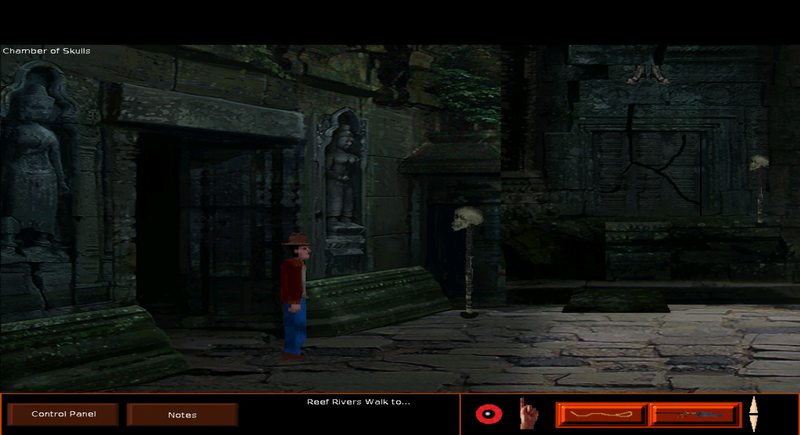 If some of the graphics were a bit more polished, this game could compete with the Indiana Jones game series. Slay the Dragon II has cute minimalist graphics. Puzzles are fine but the storyline needs to be developed. Overall I like it so it has my vote. I liked both games, but my vote has to go to "When time stops". 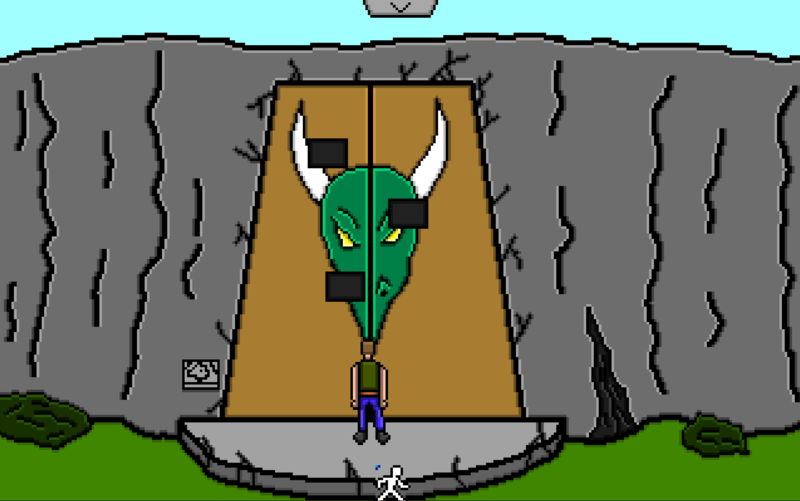 "Slay the Dragon II" had cute old-style graphics, good puzzles and a bug that should never have passed beta test - one puzzle to obtain a mosaic tile could be revisited, negating the need to solve all the preliminary puzzles. (See the "hints and tips" thread because one player actually used this.) 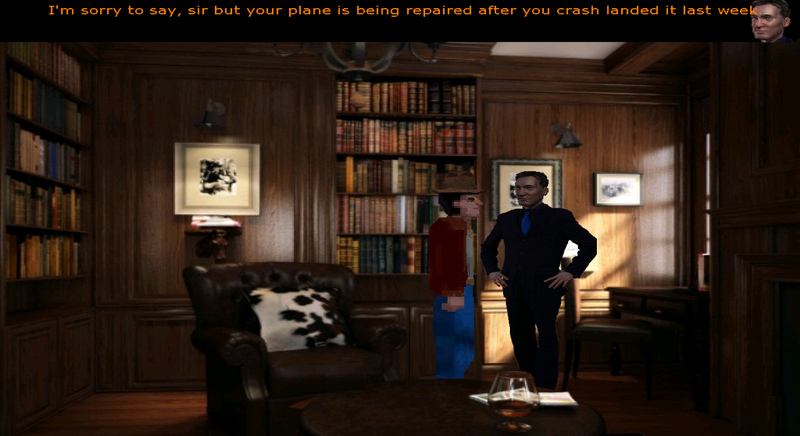 "When time stops" was a good solid effort, good graphics, plot, and a reasonable puzzle difficulty in most cases. What really nailed it for me was the added challenge to try to complete it as quickly as possible. It's not simply a matter of leaning on the escape key, your knowledge of how the AGS engine works (hint: change the game speed, but in which direction?) is crucial and it made the whole game a puzzle in itself. I took me 4 attempts to beat 10 minutes. Try it yourself! I'm trying to include a screenshot but it's not working, no Reef Rivers certificate for me. Last few days to vote, folks. It’s pretty tight so far, so could your vote be the one that decides the winner? It’s all down to YOU! Yes YOU! The voting is over and the results have been carefully counted.